Keith has over 20 years boating experience in both motor and sail. He is a RYA Yachtmaster Instructor and also has teaching qualifications for power boats and VHF radio. He has 3 Fastnet races to his name as well as a number of round Britain cruises, all as skipper. He has worked on the East Coast as an instructor for more than 10 years, as well as spending several seasons in Malaysia with Langkawi Sailing School. Keith is also a senior martial arts instructor for adults and children, and a founder member of the South Eastern Taekwando group. Simon has been sailing since he was 10, when he first caught the bug during a family holiday on the Norfolk Broads. He worked for a major multi-national company for over 30 years, living in UK, Hong Kong and Malaysia, before deciding on a career change in 2007. 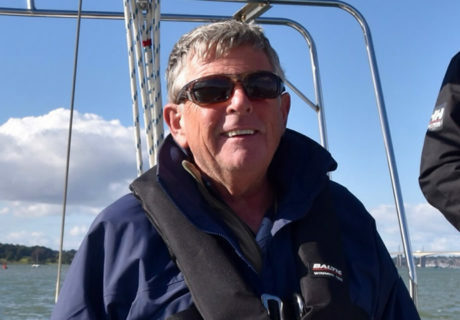 He started Suffolk Coast Sailing in 2009, and has worked as an instructor for several RYA schools, including several seasons with Langkawi Sailing School in Malaysia. Simon is particularly keen to welcome families into the world of sailing, and as a father of four, grandfather, and youth rugby coach for 10 years, he has a wealth of experience with children.